and a World Class Physique! As far back as the 1950s, Reg Park could Bench Press 500 lbs., do a Standing Dumbbell Military Press with 258 lbs., a Squat with 600 lbs., and a Deadlift with 700 lbs.! Poundage like that was unheard of prior to that time! 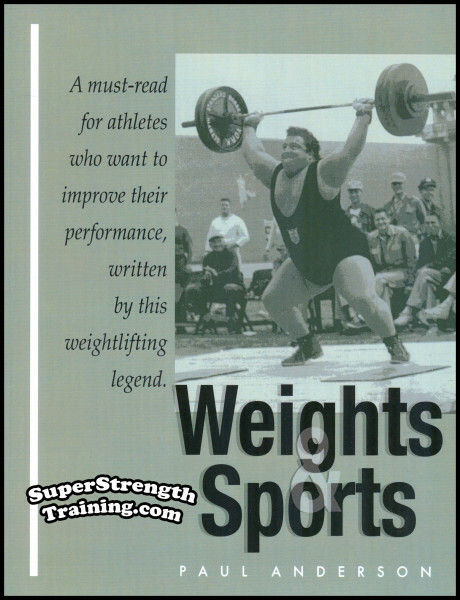 In this course Park discusses strongmen like Marvin Eder, John Grimek, Doug Hepburn, Paul Anderson, Stan Stanczyk, Buster McShane, Bill Parkinson, etc. All of these men were super-strong in their own right, even those some of them were not bodybuilders. When Park visited America, during the 1950s, he traveled to “Abe Goldberg’s Gym” in New York City. Marvin was not only a bodybuilder, but he was EXTREMELY strong! For example, he could do: parallel bar dips with 450 lbs. ; multiple sets of 10 repetitions in the squat with over 500 lbs. ; 80 straight chin-ups; 1000 parallel dips in 17 minutes, crucifixes to the sides with 100 lb. dumbbells! All this at a weight of around 200 lbs.! Needless to say, Reg had found the perfect training partner to push him to gain massive size and strength! Their fabled marathon training sessions while using staggering weight are legendary! During this time, they shared training methods and pushed each other. It wasn’t long after Reg Park became the FIRST bodybuilder and SECOND man to Bench Press 500 lbs., that Marvin Eder became the SECOND bodybuilder and THIRD man to perform such an amazing feat! Reg Park has always felt that a bodybuilder shouldn’t just LOOK STRONG, he should BE STRONG, as well. In addition, since most bodybuilders want to GET BIGGER in size, what better way to do this than to train heavy for power. Reg Park was one of the very FIRST bodybuilders to train with basic, compound movements, while using heavy weights. The results, especially for that point in time, were dramatic, to say the least! He quickly became the FIRST bodybuilder to weigh over 225 lbs. on stage! Any time the conversation turns to muscular bulk and power, the world famous name of Reg Park comes to mind. 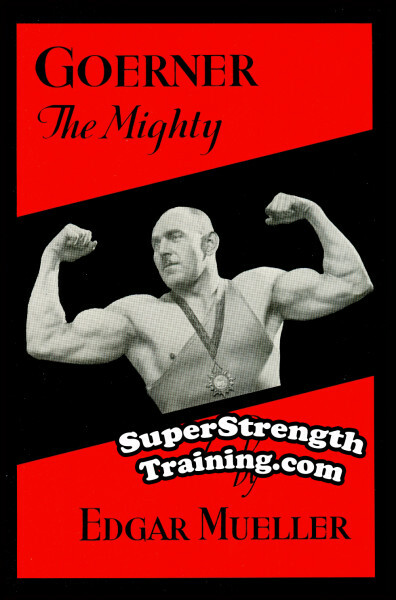 Reg brought physical development to a new high by winning the “NABBA Mr. Universe” not once, not twice, but THREE times! Reg was very helpful when it came to training. When Bruce Randall approached Reg for advice to help him prepare for the “NABBA 1958 Mr. Universe” contest, he didn’t hesitate, even though they were both competing! Reg won the overall contest, of course, but the advice that Reg gave Bruce was so good that Randall came in second! The following year Bruce Randall won the “NABBA 1959 Mr. Universe” contest. 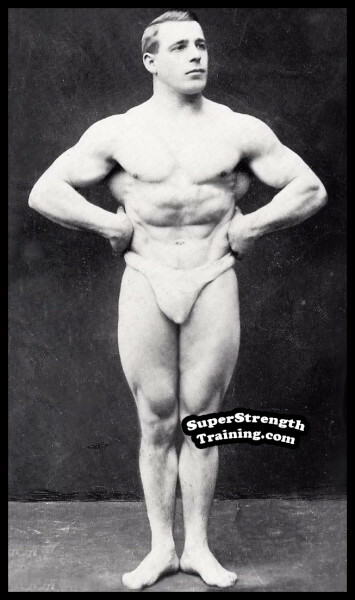 Park competed in physique contests from 1946 to 1973, a span of 27 years! He won “Mr. Britain 1949”, and “NABBA Mr. Universe 1951, 1958 and 1965″! In addition, Reg Park was the idol and mentor of 7 time “IFBB Mr. Olympia”, Arnold Schwarzenegger! Arnold spent a lot of time with Reg over the years and considered him to be one of the best bodybuilders of all time. Reg Park was the only British bodybuilder to star in the Italian sword and sandal muscleman movies of the 1950’s and 60’s. He starred in: “Hercules in the Haunted World” (1961), “Hercules and the Captive Women” (1963), “Maciste in King Solomon’s Mines” (1964), “Hercules, Prisoner of Evil” (1964), and “Hercules the Avenger” (1965). Even though his movies were produced over 45 years ago, they are still every bit as popular today. 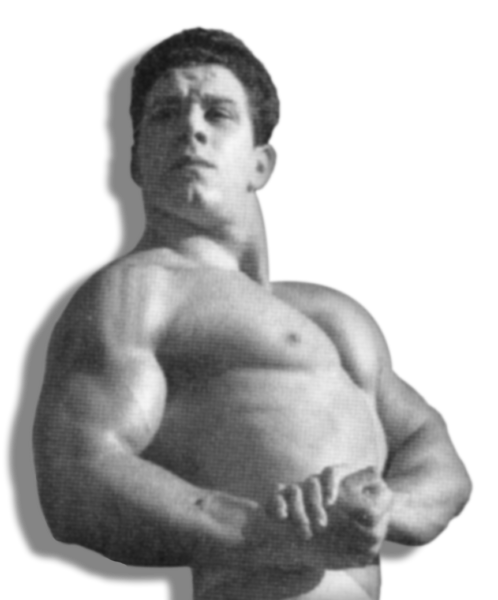 Reg Park was the FIRST bodybuilder and the SECOND man in the world to Bench Press 500 lbs.! At the “1957 Pro Mr. USA”, Reg Park Bench Pressed over 500 lbs. in STREET CLOTHES! Bench Press with 500 lbs. Dumbbell Bench Press with two 185 lb. dumbbells for five reps. Behind the Neck Press with 300 Lbs. Standing Dumbbell Press with two 140 Lb. dumbbells. One Arm Dumbbell Press with 165 lbs. for two reps.
Incline Dumbbell Press with two 185 lb. dumbbells for five reps. Lying Triceps Extension with 300 lbs. for three reps. Strict Barbell Curl with 200 lbs. Squat with 605 lbs. for two reps.
Front Squat with 405 lbs. This weight training course is carefully arranged to provide the maximum results for the time and effort allotted. If carefully followed, the trainee can expect to add respectable size and strength to all the major muscles of the body. 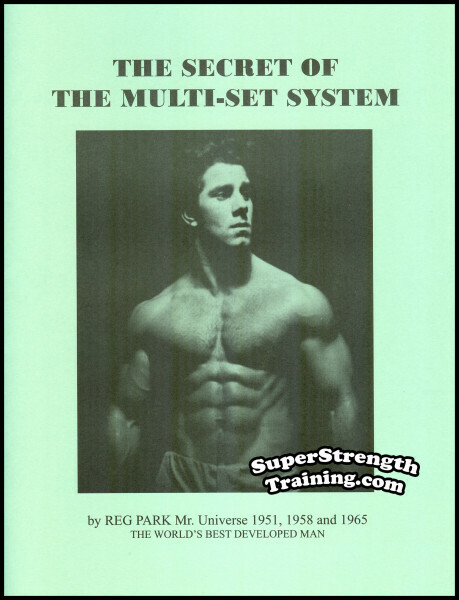 An interesting preface by Reg Park discusses the distinction between power-training for bodybuilders and weightlifters. 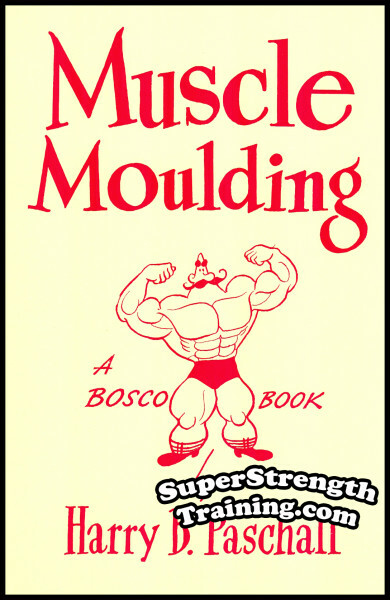 An introduction that explains the interpretation of a “powerful man” and why bodybuilders should strive to become as strong as they look. 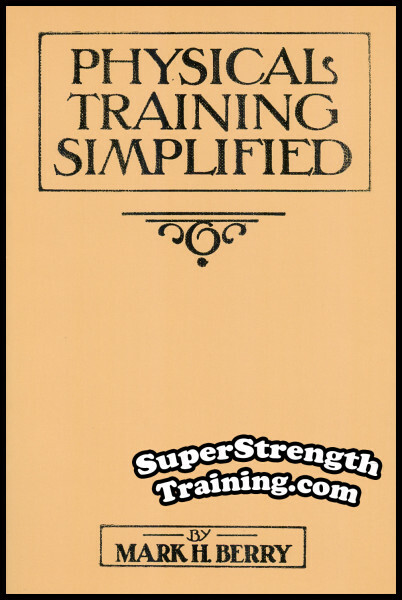 Part One offers ONE – 4 WEEK training schedule incorporating 6 different exercises, accompanied by beautiful illustrations demonstrating each of the exercises. Part Two offers ONE – 4 WEEK training schedule incorporating 6 different exercises, accompanied by beautiful illustrations demonstrating each of the exercises. 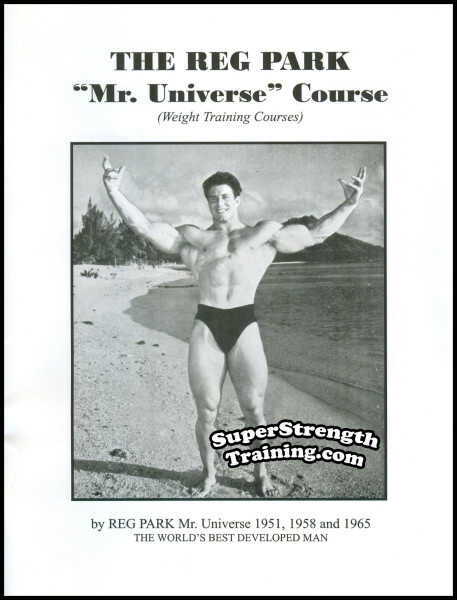 The aforementioned schedules are a few of the EXACT power-training routines that Reg Park used on and off during his, highly successful, 27 year bodybuilding career. Reg Park discusses some of the incidents regarding his own remarkable training heavy lifts as well as those of such strongmen as Marvin Eder, Doug Hepburn, and John Davis. An inspirational conclusion that touches on key elements that will help you in your quest for REAL POWER. A SPECIAL BONUS! 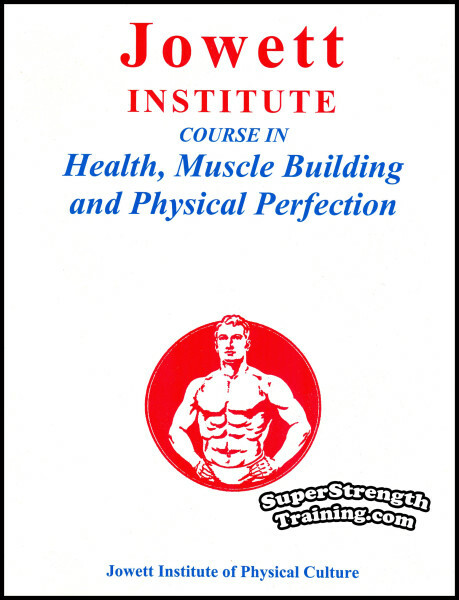 Along with the above, “Training for Power”, I have included, Reg Park’s, “How I Train for the Bench Press”, weight training course. 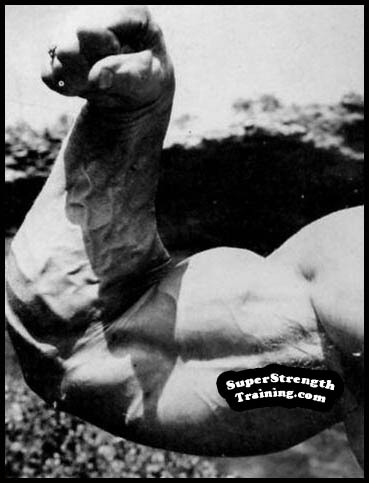 This is the EXACT 8 WEEK training schedule, including FIVE exercises, that Reg Park used to become the FIRST bodybuilder, and SECOND man in the world, to Bench Press 500 pounds! 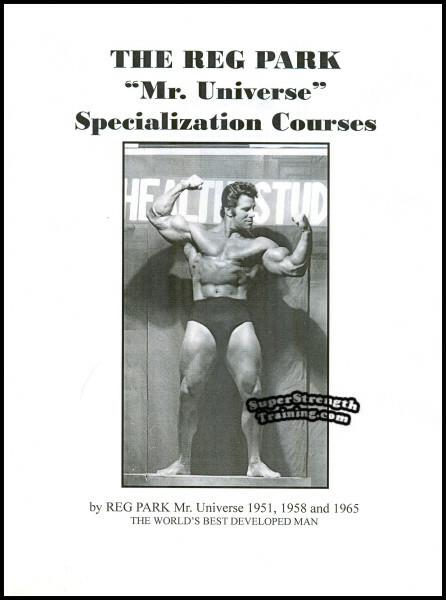 An introduction to the aforementioned course by Charles A. Smith, Consultant Editor of Reg Park’s, “Mr. Universe” magazine. 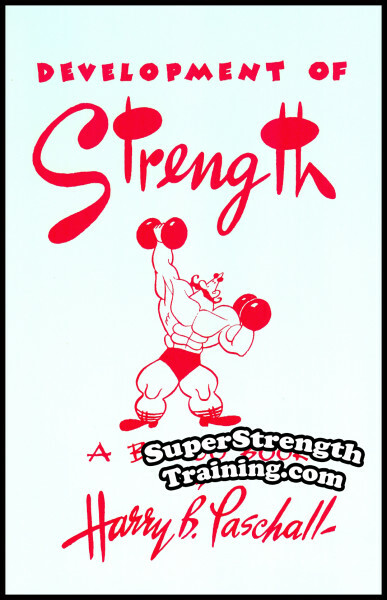 Reg Park’s ONE – 8 WEEK Bench Press training schedule incorporating 5 different exercises, accompanied by beautiful illustrations demonstrating each of the exercises. A helpful conclusion offering advice and how to add this training to your current weight training routine to improve your own bench press. A rare photo of Reg Park bench pressing 500 pounds in street clothes, on an old wooden bench, at the “1957 Pro Mr. USA”, on May 11th 1957, at Shrine Auditorium in Los Angeles, California. A rare photo of Reg Park trying a very unique, and difficult, bench press with a pair of 150 pound barbells. Helpful Skeletal and Muscular Anatomy Charts to help you focus on specific areas of the body. Detailed information about Reg Park’s many Bodybuilding Contest Titles. Detailed information about his many famous “Hercules” motion pictures. Fully illustrated with over 40 rare and beautiful photos and illustrations. Champion bodybuilder, strongman, movie star, gym owner, writer, publisher of The Reg Park Journal. 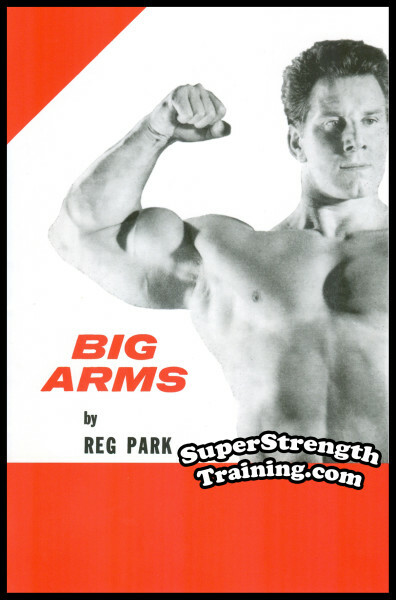 Reg Park has done everything in the strength world! “I received my order, yesterday. 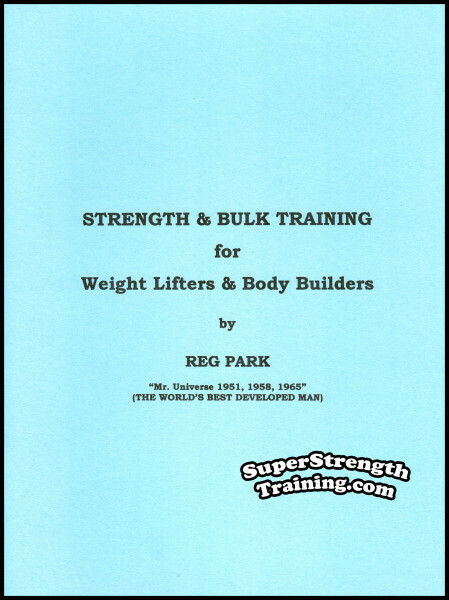 I’m very pleased with, ‘Training for Power’ by Reg Park. Park makes a good point about, ‘bodybuilders should BE strong, not just LOOK strong.’ I plan to incorporate his training advice into my present routines. Thank you! 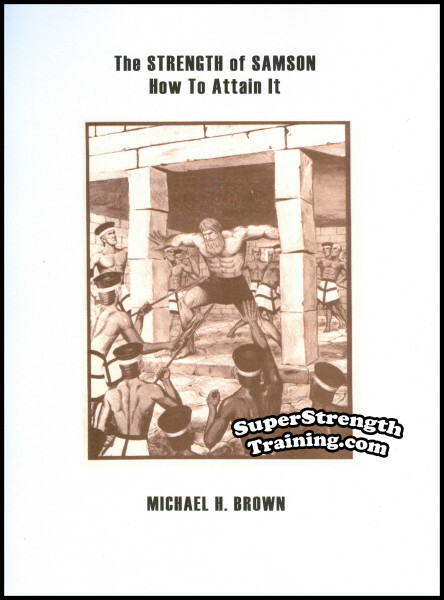 To learn and utilize the training methods found in Reg Park’s famous, “Training for Power”, only a few pieces of equipment are needed. All that is needed is a pair of adjustable plate loading dumbbells, a flat bench, squat stands, parallel bars, and two heavy boxes. Once you have set up your gym, you are ready to begin your 2 month journey to increased muscular size and a noticeable increase in overall power. P.S. A classic course! 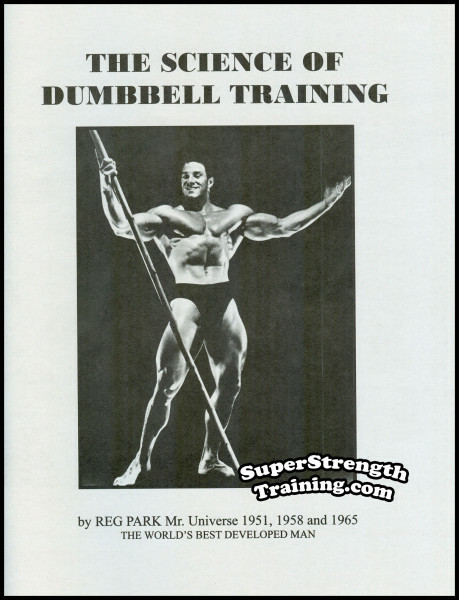 The training methods found in this course helped catapult Reg Park to not only become the top bodybuilder in the world, but one of the strongest, for decades! A beautiful 8½ x 11, softcover, training manual, fully illustrated, with 24 pages. 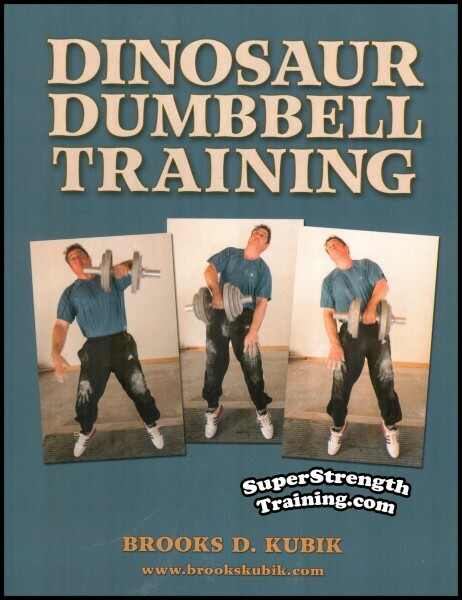 The first of a series of books and courses by the most popular writer in Bob Hoffman’s, Strength and Health magazine. 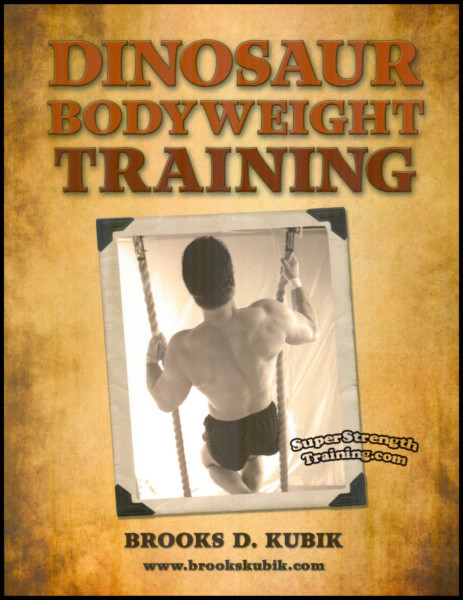 It tells how to train to get a Mr. America type physique; discusses various weight-training systems; muscle cramping, muscle spinning, concentration, rest-pause, set and series routines, etc. Read More!